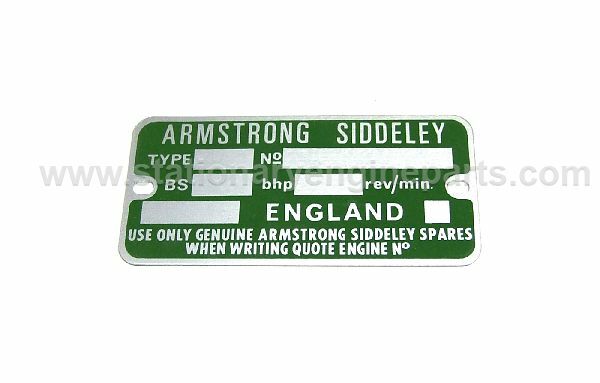 Genuine new, old stock Armstrong Siddeley engine name plates. Ideal as a replacement for your old one if you are restoring an Armstrong Siddeley engine. The spaces for the engine specifications to be stamped are left plain and un-stamped so you can customise the plate to your specific engines details.